A lone mustang turns his back to the high desert wind. Bob Bittinger is willing to sell this fantastic piece of art. 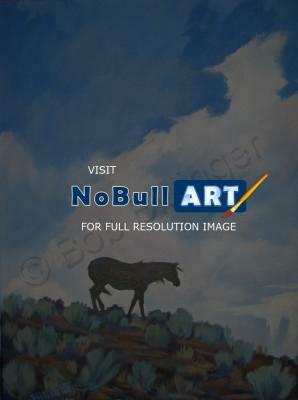 50% of the proceeds of the sale of this piece goes to benefit the Horse Protection League of Colorado. There are many in need during these tough times - don't forget our animals that need our support. Thank you for looking!